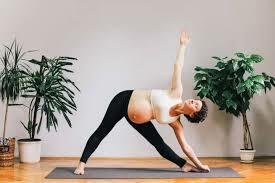 If you’ve ever been pregnant, are pregnant, or are considering pregnancy in your future, the question of whether or not you should work out has probably come up. Some people say no, some say yes, some are scared to, and some just don’t know. It’s a topic of serious debate, and the answer varies depending on the person, but the latest findings are not only promising—they’re kind of astounding. According to a new study done by researchers at Washington State University, exercising during pregnancy is not only safe—it can also help protect your child from future obesity. At present, an estimated 34 percent of adults and 15 to 20 percent of children and adolescents in America are obese. So to say that this study has major implications for the obesity epidemic is an understatement. The study’s authors note that while there have been studies in the past demonstrating that exercise by obese females benefits their offspring, this is the first research to show that the same is true when non-obese females exercise. Regardless of the mother’s weight, her child will benefit from her exercising during pregnancy. “Based on our findings, we recommend that women—whether or not they are obese or have diabetes—exercise regularly during pregnancy because it benefits their children’s metabolic health,” said Jun Seok Son, conductor of the study. As you may have guessed, the inverse is also true: Healthy women who don’t exercise during pregnancy can increase their child’s risk of obesity and issues with their metabolism. “Our data suggests that the lack of exercise in healthy women during pregnancy can predispose their children to obesity and associated metabolic diseases partially through impairing thermogenic function,” said Son. As always, you should consult your doctor to figure out what’s best for you, but this research further underscores how exercise really is beneficial for everyone—even those still in the womb.